Large-flowered Trillium (Trillium grandiflorum) in bloom, gracing a northern Wisconsin woods. In springtime, the woods around my parent's home in northern Wisconsin are full of these lovely flowers. 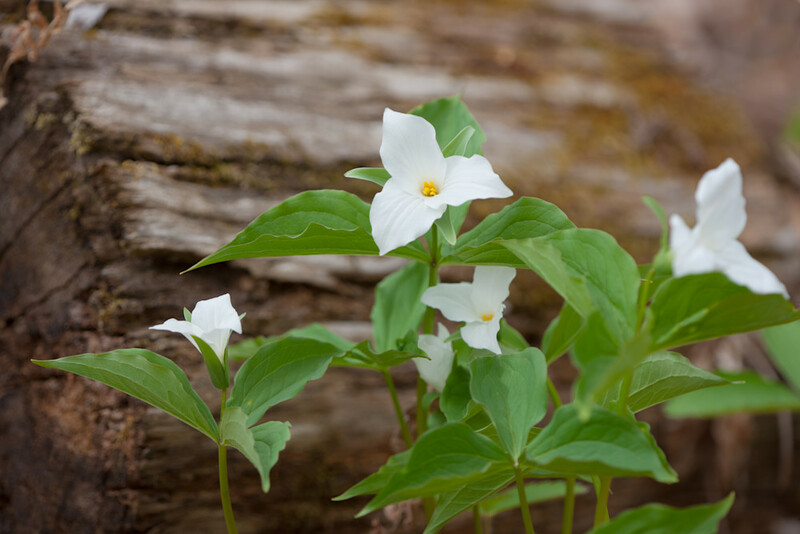 This group of Large-flowered Trillium rests in front of a section of old log that was left to return to the woods since it was too far gone for firewood.